The new Lost in Space that is on Netlfix is now making its debut in comic form. Legendary Comics is going to be heavily promoting the comic at San Diego Comic Con. The comic will be hitting shelves in October of 2018. They also have some events planned.including a Robo Dance Party with Don West smuggled booze. The smash-hit rebirth of the beloved sci-fi classic “Lost in Space,” recently Emmy®-nominated for Outstanding Special Visual Effects, is set to continue in a thrilling four-part graphic novel expansion by Legendary Comics. The new comic series will invite fans to dive deeper into the backstories of their favorite heroic characters and will take the Jupiter 2 where it has never been before. Penned by writer Richard Dinnick (Doctor Who; Thunderbirds) and Brian Buccellato (Detective Comics; The Flash) with stunning artwork by Zid (Skull Island: Birth of Kong; Trick ‘r Treat: Days of the Dead), LOST IN SPACE: COUNTDOWN TO DANGER will feature all-new, untold adventures of the full crew of the hit Netflix Original show—including the Robinsons, Robot, Doctor Smith and Don West. "What is exciting about comic books is that they are not limited by budget—only by the imagination,” said Executive Producers Kevin Burns and Jon Jashni. “This ‘Lost in Space’ comic is no exception. Legendary Comics has outdone themselves this time." Thirty years in the future, en route to a distant colony, the Robinson family finds itself thrown off-course when their ship crash-lands on a mysterious and dangerous planet. On this strange new world, they encounter a hostile environment and an enigmatic alien robot. In order to survive, the Robinson family must rely on their training, and they’ll discover that no matter how lost they are, their family is their home. The new graphic series offers readers the chance to explore new missions, not aired on television, as our heroes struggle to survive in an unknown world full of new creatures, unexpected visitors, and new danger. The first volume of the four-part series will be available in October 2018 online and in retail stores, with the subsequent volumes throughout 2019. A preview of Volume One recounting a mission featuring Penny is now available at https://bit.ly/2LgV9dA. Fans attending Comic-Con International: San Diego are invited to get a sneak peek at LOST IN SPACE: COUNTDOWN TO DANGER at the Legendary Comics panel on Friday night featuring “Lost in Space” comic scribe Richard Dinnick, as well as participate in other “Lost in Space” activities happening throughout the weekend. Legendary Comics’ Robert Napton will be joined by a cast of special guests, who will share secrets about their upcoming comic releases, including the just-announced LOST IN SPACE: COUNTDOWN TO DANGER, the comic continuation of the hit television series; John Barrowman, Carole Barrowman and Erika Lewis’ original series ACURSIAN; Richard Dinnick’s new series ROB; Jessica Chabot and Erika Lewis’ FIREBRAND season two; the latest on MONSTERVERSE; and a few more surprises! Location: Nerdist House at Sparks Gallery, 530 Sixth Ave. Legendary Television, in partnership with Legendary Digital Network’s Nerdist, will present “Robo Romance,” a free-to-fans interactive photo installation with ROBOT—who, following season one, found itself at the center of a collective internet crush by series viewers. Participants can customize the setting of their photo meet up with “Robot,” including a special romantic background for enamored fans. Free “Lost in Space” giveaways will also be offered daily. Free and open to public. Location: Nerdist House at Sparks Gallery, 530 Sixth Ave. Free and open to public. Location: Oxford Social Club, 435 Fifth Ave. 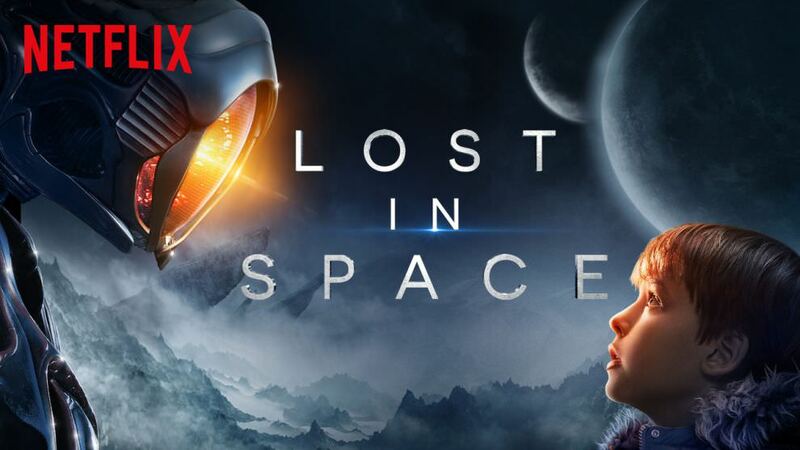 Legendary Television is currently in pre-production on the second season of “Lost in Space,” the Netflix Original series based on Irwin Allen’s classic 1960’s science fiction series starring Molly Parker (“House of Cards”), Toby Stephens (“Black Sails”) and Parker Posey (Café Society). In this modern update, the science fiction show follows the Robinson family as they fight against all odds to survive after crash landing on an alien planet and finding themselves surrounded by hidden danger.